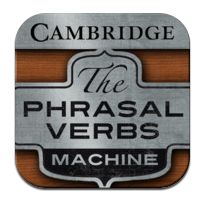 Perfect for upper elementary and middle schoolers, The Phrasal Verb Machine is a fantastic free app for grammar practice. Students can create their own phrases and watch each one animated (with an accompanying definition and example too!). After playing around with the machine students can test their knowledge with exercises that pair pictures and examples. Check out my Common Core aligned iPad lesson planusing this app! Monica Burns is a fifth grade teacher in a 1:1 iPad classroom. Visit her website atclasstechtips.com for creative education technology tips and technology lesson plans aligned to the Common Core Standards.